Melt butter in a large pot over medium heat until melted. Saute onion in the butter until translucent, about 5 minutes. In a large bowl, mix the cornstarch, salt, pepper, chicken broth, and milk together until the cornstarch is dissolved. Add the broth mixture to the pot. Stirring constantly, bring the mixture to a boil and cook until it starts to thicken, about 1 minute. Remove the pot from the heat and stir in the chicken and vegetables. Make Gluten-Free Pie Crust and press 2/3 of the dough into twelve 8 ounce custard cups. Fill the crusts with the chicken and vegetable mixture. Top each pie with the remaining Gluten-Free Pie Crust. The dough for the top crust can be flattened into small circles or crumbled onto the top of each pie. Place the pies on a large cookie sheet, cover with tinfoil, and backe for about 30 minutes. Remove the tinfoil the last 10 minutes of baking to allow the crust to brown. Let the pie cool for about 15 minutes before serving. 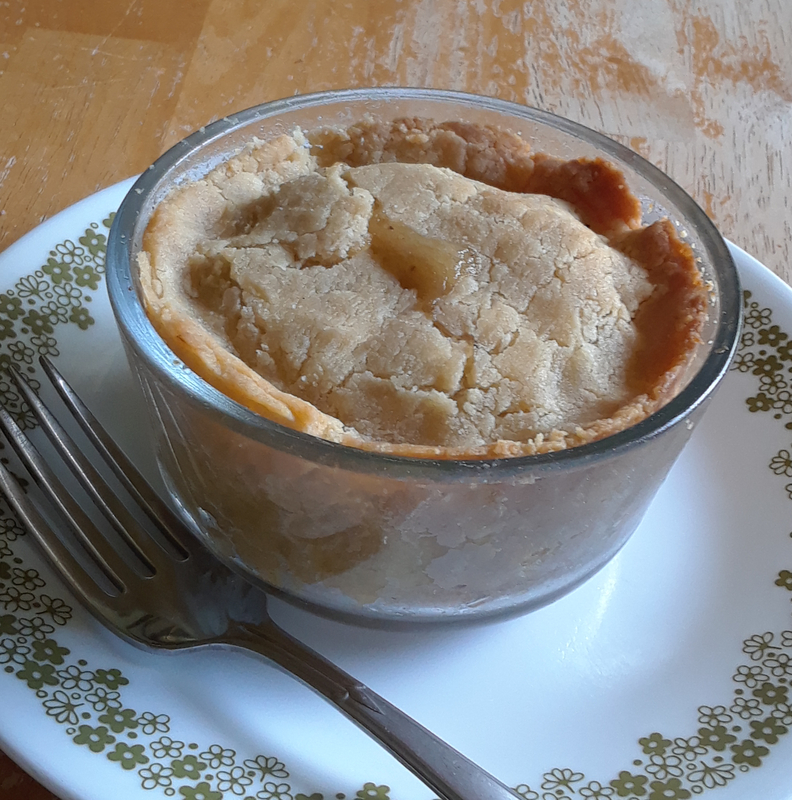 Do not bake pies in Mason Jars as the jars are not heat tempered and are prone to cracking. Use custard cups with lids for an easy lunch on the go.